When you first think of rubber flooring, it may not spring to mind as being the most fashionable, stylish flooring option out there, yet it has some great qualities that are making it an increasingly popular choice and a fantastic option for those businesses in the hospitality industry. Nightclubs can be hotspots for potential hazards. With a dance floor full of spilt drinks, and girls in dangerously high heels, it can be a disaster waiting to happen. However, a rubber floor could reduce the risk of an accident giving you peace of mind. Rubber flooring is; slip resistant, durable, low maintenance and easy to clean. So, not only will it help keep your guests feel safer but it can also make your job easier when it comes to cleaning up at the end of the night, as all it requires is a good old fashioned mop and bucket to return it to its original state. Manufacturers have made recent improvements with new colours and smoother profiles to make for a more fashionable flooring solution, so you can find one that makes the right statement for your nightclub. If you work in the food industry then you’ll know how important it is to comply with health and safety regulation and a rubber floor can help you do just that! An easy to clean surface is ideal for kitchens where a lot of food and drink spillages occur as they can easily be wiped clean and mopped up. A rubber floor can provide an anti-slip protection which is ideal when carrying dangerous objects such as sharp knives or hot dishes. As well as this, you need to know that you have a floor that will last. Rubber is a hard, durable and strong material that is guaranteed to be long lasting, so you don’t have to worry about any refurbishment interruptions to your business for a long time ahead. Bars, like nightclubs, can be a hazardous place for your guests as surfaces can be slippery from spilt drinks. 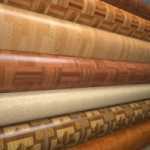 For added peace of mind, invest in good quality rubber flooring for your bar. The benefits of this flooring option include: Long lasting, strong and durable, low maintenance, Easy to clean, slip resistant. Also, they no longer have to be a boring black or grey colour as recent improvements have brought about new, smoother profiles that are available in more fashionable colours so your modern bar doesn’t have to loose its style! Part of making your guests feel welcome in your hotel is to also make them feel safe and comfortable. Hard floor surfaces can be dangerous, especially in the winter months were water is trodden through hotel lobbies making the floor extra slippery and hazardous which can be particularly concerning for elderly guests. A rubber floor can help ease these concerns; it can provide a slip resistant surface for those wet days when floors can be dangerously slippery. But not only this, rubber floors require very little maintenance and can be returned to their squeaky clean original appearance with a simple mop and bucket. So, contrary to popular belief, rubber floors are not the most expensive or hard to maintain of floors. 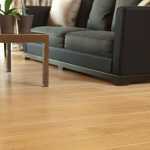 Yes, they may not be the cheapest option but it is a floor that will be durable and long lasting. No longer classed as an old fashioned, out-dated floor option, you can be sure to find one in the right colour and with the right finish to complement your surroundings. 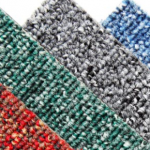 If you’re looking for the perfect flooring for commercial use, then get in touch with us here at Brent Carpets to find out more about our quality flooring solutions.